If you are like me, you have more online accounts and passwords than you can possibly remember. 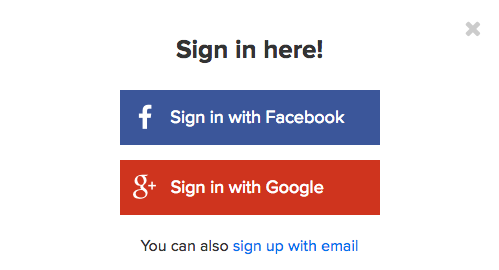 Every website seems to require a login. When you find yourself needing to sign up for the 59th time, it can be quite exhilarating to be offered the ability to sign on using Facebook, LinkedIn or another network you already have. This seems perfect! No need to re-submit information or create a another password. Now wait a minute, do you know what you are trading for the luxury of one less password? Let’s find out. Let’s clear up one misconception: When you sign in using a network account you are not handing over your network password to the new site. You are allowing the new site to contact the chosen social network site and gain access to your information therein. Let’s say you were using Facebook as a log in, you’d select the ‘Sign on with Facebook’ button and it will pop up a new window with a Facebook address. You are now in Facebook. The URL (website address) should have an ‘https’ in the front followed by www.facebook.com. You can then enter in your email and password. If the URL is not the site you want, this could be a scam so best not to enter your password here. If you are already logged in to Facebook on your computer (ie you never logged out, even if the tab is closed) then you may be presented with your profile photo to click on. At this point, if you login to your Facebook account, you are authenticating with Facebook and giving them permission to work with the new site. In some cases you are granting access to numerous pieces of your information. In other cases, you may also be allowing the new site to post on your behalf. The onus is on you to understand what information or actions you are agreeing to specific to the site or application that wants access. Each social network has a set of user’s information that it gives away to anyone connected. The new site or application (aka third party) can get additional information with the user’s permission. According to the rules of the social networks, the third party that connects is supposed to have a clear display about which special information they are requesting. It should be as clear as “we would like to access your friend list” but could be as vague “we will also collect information about you”. Since Google owns the world’s biggest search engine, the biggest video service (YouTube) and one of the biggest email systems (Gmail), they have a tremendous amount of information about your searching, shopping, and viewing habits. Be wary when sign in using Google and check what information the connect site is requesting. By Permission: Personal data such as posts and pictures, search history, YouTube video history, gmail and ability to post on your behalf. Automatic Information: profile photo, location, gender, favourites (that are public), friends list (that are public), followers, relationship status, network and schools attended. By Permission: user-friends, email address, age, mailbox, analytics on fan pages, likes, actions (shares, comments etc), pictures, posts, and ability to post on your behalf. LinkedIn should likely contain your least private information but none the less, third parties can take a lot of it.